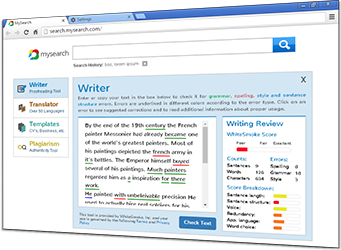 The Online Checker for Writing brings you the core features of the WhiteSmoke 2009 desktop application - grammar checking, spell checking, and style checking. There is a limit on the amount of text you can check at any given time, and it does have the convenience of taking your corrected text back into the application you are writing in, but it gives you a good test ground for the WhiteSmoke technologies, and a handy little tool for checking smaller texts. The Free Online Dictionary is a great tool for those moments when you are stuck on a word. 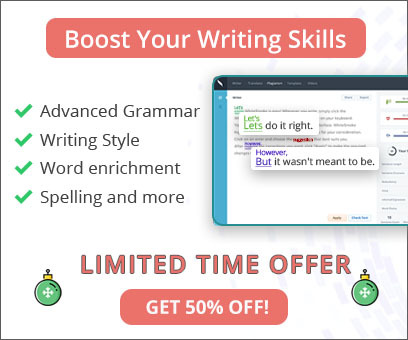 Simply enter any word and immediately receieve its definition, relevant synonyms and antonyms, and a modul for translating that word into a number of target languages. Try out the tools today!